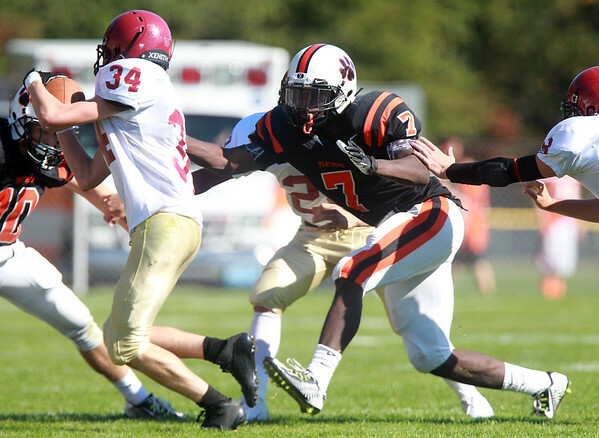 Beverly junior Peter Mulumba (7) chases down Gloucester ballcarrier Patrick Goss (34) during the third quarter of play. The Panthers pulled away in the second half, defeating the Fishermen 30-16 in NEC action on Saturday afternoon. DAVID LE/Staff photo. 9/27/14.